Embrace the sophisticated demeanour of our trilby, hats for all and discover a new side to your accessories collection. The distinguished trilby hat has been the anchor to outfits for any season for many years now, developing into a must-have accessory for both style credentials and protection from the elements. The traditional trilby is suave and dapper with a signature feel - discover our range of designs from the likes of Barbour and showcase that inimitable look with attractive detailing and lightweight construction. Need a little bit of sophistication in your summer wardrobe? 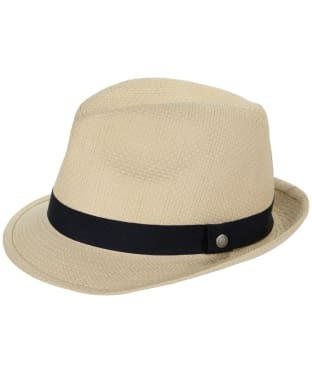 Then look no further than the Barbour Emblem Trilby Hat – this Barbour branded tribly is the perfect accent to your smart casual attire, and will look as at home on the French Riviera as it would in the stands at Wimbledon. 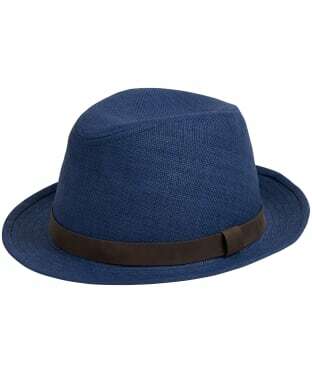 Featuring a tattersall cotton lining and a simple navy blue band, the Emblem hat is the ideal stylish accessory for summer. The Men's Barbour Whitby Trilby Hat is a trilby-style woven hat, featuring a striped hatband in the colours of Barbour's signature Dress Tartan. Perfect for adding an on-trend feel to those sunny days, the Whitby is finished with a subtle branded badge to the outer for that added mark of quality. 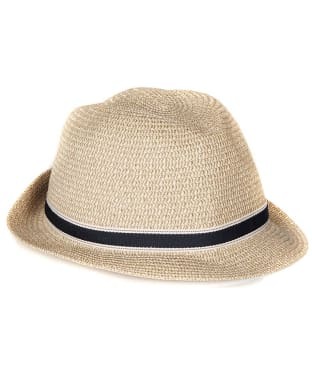 Girls Barbour British Waterways Straw Trilby Hat. 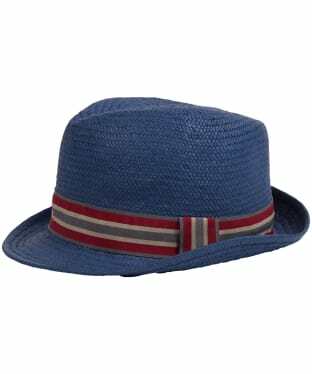 Woven and blocked straw fedora style kids hat delicately coloured and trimmed inside with British Waterway printed cotton poplin. 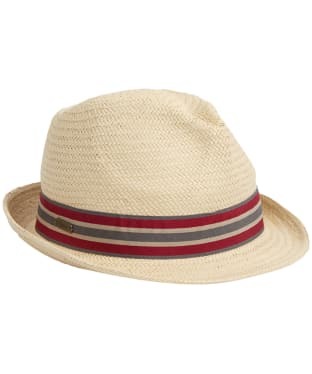 The Men's Barbour Tain Stripe Trilby Hat is lightweight, stylish and made from 100% paper. 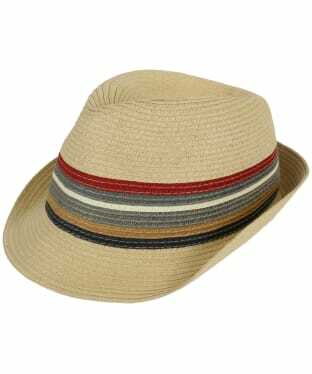 This woven trilby style hat features striped bands picking out colours from the Barbour classic tartan. 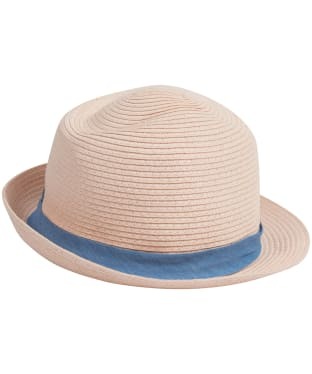 The Barbour Lighthaven Trilby style hat is fun and stylish for those sunny days. 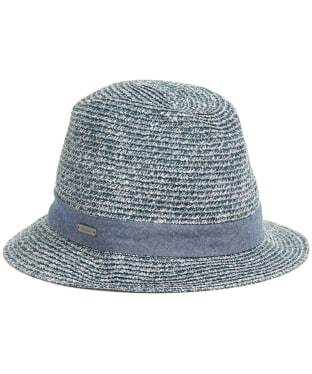 Featuring an all over chambray effect with a tonal outer band, the woven Trilby will finish any summer outfit off perfectly. 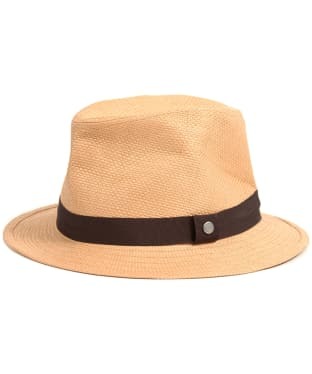 The Barbour Lighthaven Trilby is finished with a metal branded Barbour stud detail along the outer band.